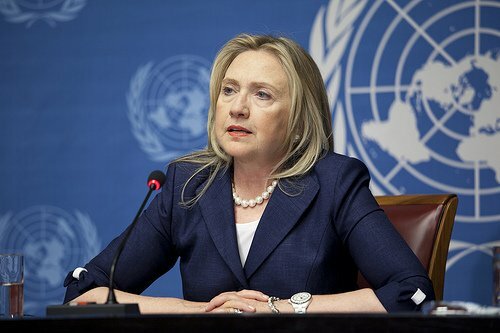 According to new reports, Hillary Clinton’s exclusive use of her personal email to conduct business as secretary of state is being examined as a possible breach of federal requirements. From 2009 to 2013, Hillary Clinton did not have a government email address, the US State Department told The New York Times. The Federal Record Act requires official emails to be preserved. Thousands of pages of emails handed over do not include all her messages. The correspondence of federal officials is considered government records under federal law. While there are exceptions for classified materials, most documents are kept for the use of journalists, congressional committees and historians. Other US officials have been cited for the use of private correspondence, but in Hillary Clinton’s case the use of email was more widespread. Aides have since made available 55,000 pages of emails, but they do not seem to include all messages sent by the former secretary of state. Government watchdogs and former officials from the National Archives and Records Administration told the New York Times that Hillary Clinton’s exclusive use of private email was a serious breach. Others cited concerns that a personal email account could be vulnerable to hackers. Nick Merrill, a spokesman for Hillary Clinton, declined to say why she used a personal account at the state department, but defended its use. Hillary Clinton had complied with the “letter and spirit of the rules”, Nick Merrrill said.